Shezanne Cassim, the American jailed in the United Arab Emirates after posting a video parody, was recently sentenced to one year in prison and a fine of 10,000 UAE dirhams (approximately $2,700). The young American living in the UAE has been imprisoned since April, his family says, for posting what was intended to be a funny video on the Internet. Sen. Amy Klobuchar, (D) Minnesota, confirmed another man, a UAE national, has now been released. Speaking with Kate Bolduan on Friday, Sen. Klobuchar said the other man's release can been seen as a positive step because it may improve Cassim's chances of being released by being deported or getting credit for his time already served. The senator went on to speak about the UAE and said for a country that "prides itself on being more open to the west" they should consider the implications of keeping an American jailed for posting a comedy video. "They have a major NYU campus there – many American universities, they've got Google and Facebook offices, they're having the Rolling Stones come in February. I figure if Mick Jagger could play 'Abu Dhabi' this guy shouldn't be in jail for putting a video up." She later added: "It is my goal to get this young man home." 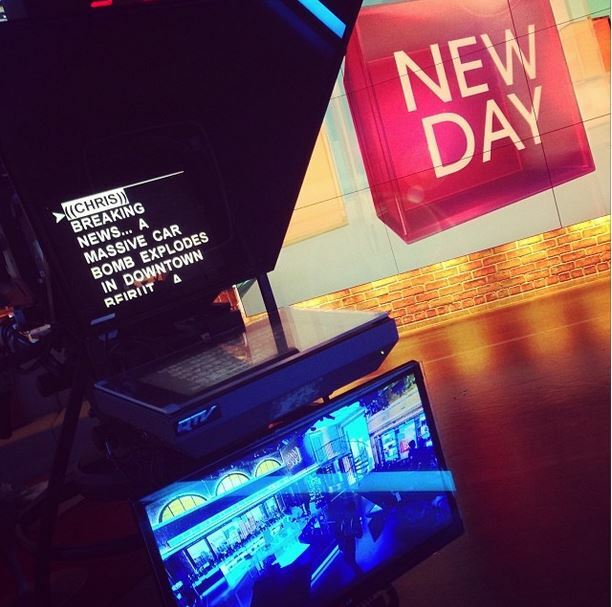 In today's edition of "New Day Midday," anchors Kate Bolduan and Michaela Pereira look back at some of their favorite interviews from 2013. In today's edition of the "Good Stuff," a grinch steals Christmas from a soldier but an entire town comes together to give it back. CNN's Chris Cuomo reports. Corporal Chris Petrossian from Lodi, California, just came home from a seventeen month tour of duty. He's been ordering christmas gifts for his family for months in anticipation of the holiday, so imagine how he felt when he got home and found out that thieves broke in and stole all of it. “They just ripped open all the packages and they helped themselves to whatever they want, which is everything, ” he says. What happened next is amazing. The responding officer – a Gulf war vet himself, told his fellow officers and they started raising money to bring Christmas gifts to the man's family. Word spread through the town and they raised enough money to restore almost all the gifts.